Lebanon finally has a president, Michel Aoun. In accordance with the country’s national pact, he is a Maronite Christian (a Catholic uniate church), and happens to be a former general. The US and Israel won’t be pleased that he is a strong ally of the Shiite Hizbullah party-militia and a backer of the Bashar al-Assad regime in Syria. (Most Levantine Christians are either neutral or pro-Assad; virtually none support the Syrian rebels, now mainly fundamentalists). Well, Americans who are eager for their own presidential election to be over with should imagine what it would be like for the contest to go on another 2.5 years before it was resolved. That’s what Lebanese have had to put up with. Of course, it has a parliamentary form of government, so most power is anyway in the hands of the prime minister and the cabinet. But still and all, not being able to elect a president has been a black mark on the parliament. The parliament, which hasn’t been able to supply the Lebanese with water, electricity or garbage collection, and which has twice extended its term of service since 2013, so that it is well past its sell-by date, could hardly take more black marks. Lebanon has been deeply polarized since 2004, when it was occupied by thousands of Syrian troops who had originally come during the civil war of 1975-1989. Syria liked the then president, and wanted to see his term extended for three years without a new election, which contravened the constitution. Prime Minister Rafik al-Hariri angrily resigned over this Syrian pressure, and then, it is likely, the Syrian secret police or a Lebanese client of same, blew Hariri up on 14 February 2005. Maronite Christians and Sunni Arabs (Hariri was Sunni) then mobilized in vast crowds to demand that Syria withdraw from Lebanon beginning March 14 (which became their name). They were countered by the Shiite Hizbullah, which had demonstrated in favor of Syria on March 8. But in the end Syria couldn’t stay, and withdrew its troops. In a great irony, one of the demands of March 14 was that Gen. Michel Aoun be allowed to return to Lebanon, which he did. But after a while he left the coalition and allied instead with Hizbullah and Syria. Politics in Lebanon is kaleidoscopic. In the past nearly two and a half years, Hizbullah has been trying to get Aoun elected. But the election of the president is by parliament and it needs a 2/3s majority to prevail. Anti-Hizbullah forces just stayed away from scheduled votes and denied the chamber a quorum. There are 128 members of parliament ordinarily, but one resigned last year and so there are only 127 (since no new parliamentary elections have been held since 2013). On Monday, Aoun fell short of the required 86 votes for a 2/3s majority on the first ballot. After that, the candidate could be elected with a simple majority. The next two votes were voided because they turned up 128 ballots, meaning someone voted twice. On the fourth ballot the box was brought in the center of the parliamentary chamber and a close eye was kept on it, so only 127 votes were cast. Aoun received well over the required majority at that point, with 83 votes. Another 36 protest votes were case blank, and 7 were voided because of unspecified irregularities. Aoun succeeded because he was not boycotted by the Future Bloc of Saudi-backed Sunni politician Saad Hariri (son of the slain former PM). Hariri had had his own candidate, Sleiman Frangieh, who, however, is just as pro-Syrian as Aoun. Hariri used to be fabulously wealthy (his father had worked in Saudi Arabia and built the family fortune there), but the rumors are that his wealth is largely gone. He has had trouble paying his employees, from all accounts. Saudi Arabia considers Lebanon to be too pro-Iranian, and cut it off from a $3 bn grant, and Hariri had depended deeply on Saudi backing. He faces opposition in his own party. So some analysts (see the al-Jazeera clip below) think that Hariri has been so weakened that he finally agreed to let Aoun become president. Aoun’s platform is strengthening the Lebanese army to fight ISIL and al-Qaeda and doing something about the burden of 1.5 million Syrian refugees (Lebanon is only a country of 4 million). His election is a win for Hizbullah, his long-time ally, but since Hariri joined in backing him, it isn’t really a loss for the Sunni Arabs of Lebanon, who may be making their peace with the likelihood that the al-Assad regime will survive in some form. Lebanon’s Sunnis had strongly supported the Syrian revolution of 2011 and after, and tend to be favorable toward the remnants of the Free Syrian Army. But many of them have to be concerned about the influence among the rebels of an al-Qaeda-linked group, the Levantine Conquest Front, and the continued challenge of Daesh (ISIS, ISIL). Both al-Qaeda and Daesh had footholds in Syrian villages along the Lebanese border. 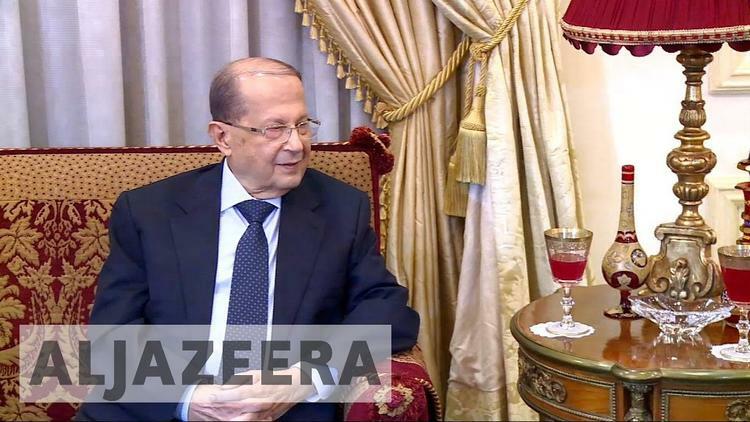 Aoun says his first order of business is to have parliament change the country’s unwieldy electoral law, which distributes seats on a sectarian basis (and on the basis of an outdated set of statistics going back in some cases to the 1930 census). Lebanon held successful municipal elections last spring. But most Lebanese are not holding their breath that governmental gridlock will end any time soon. And with Depression-style unemployment, the country has other problems than the political ones.